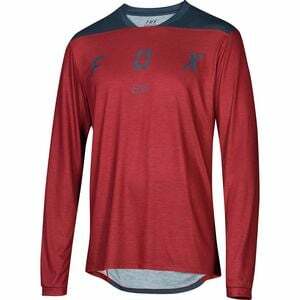 Don't sweat a thing when you're draped in the quick-drying comfort of the Fox Racing Men's Indicator Jersey. The Indicator Jersey employs TruDri polyester for active moisture management as you start to sweat on the trail, leaving you cool and dry on long, grueling climbs and repeated laps through the bike park. Ventilation along the chest adds to the jersey's cool-wearing disposition, especially as you pick up speed on lengthy downhills. For lift-serviced convenience, the pass/ID pocket comes in handy, as you won't have to endlessly dig for your pass hiding in your pack.